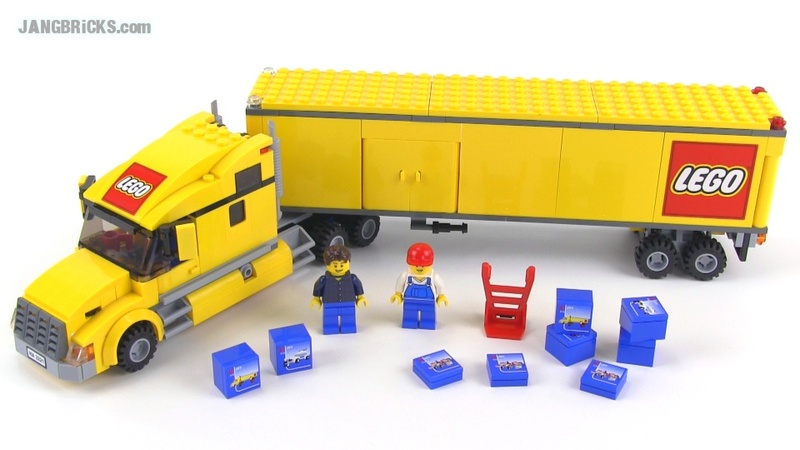 LEGO City Truck set 3221 from 2010 reviewed, plus bonus! I reviewed the official Toys R Us truck from LEGO quite some time ago (when I still really sucked at reviewing), then later rebuilt that and incorporated it into my custom city. Now I have what I really wanted, and should have gotten long ago, the LEGO City Truck! It's basically the same truck with different colors & stickers, but to me, those differences mean the world! Bonus Bricklink haul, too! Official LEGO City Truck set 3221 from 2010! Thanks JANG, you're the best! ALWAYS! Thanks for providing us all with the great entertainment for free. As a LEGO fan I live and build through you. Thank you. Great set. Would like to get it or something similar a big haul truck. Question: Is it possible to do a hints clip on bricklink usage. any houses or apartment buildings? Yep see my most recent city update; I always point out where the residential neighborhood will be. jang how do you get the sets early? Really Jang? Two videos today? I love your reviews and am always excited when a new video comes out, but two videos today? That's just disappointing. I really appreciate what you do but I wish you posted more. I know you posted eleven videos yesterday, but I really wish you could do like five-ish videos a day. Sorry if I'm coming off as a jerk, but I just wish of more. That is indeed, coming off as a very massive jerk. You are chiding, chastising me, for filming, editing, and publishing, two videos in a single day, as that is insufficient for your personal entertainment. I would like to request that you stop watching my videos, and not come back to my blog again. Your attitude is unacceptable and your selfishness unwelcome.